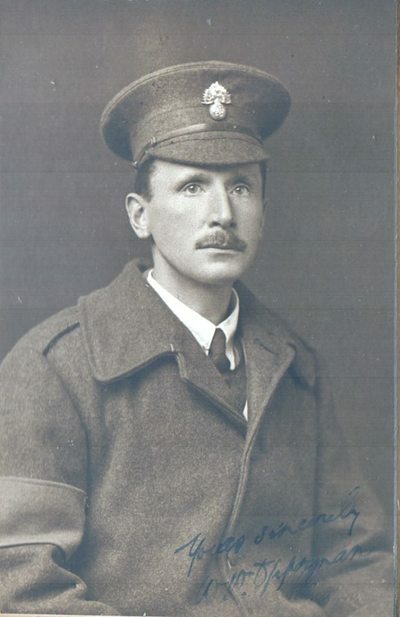 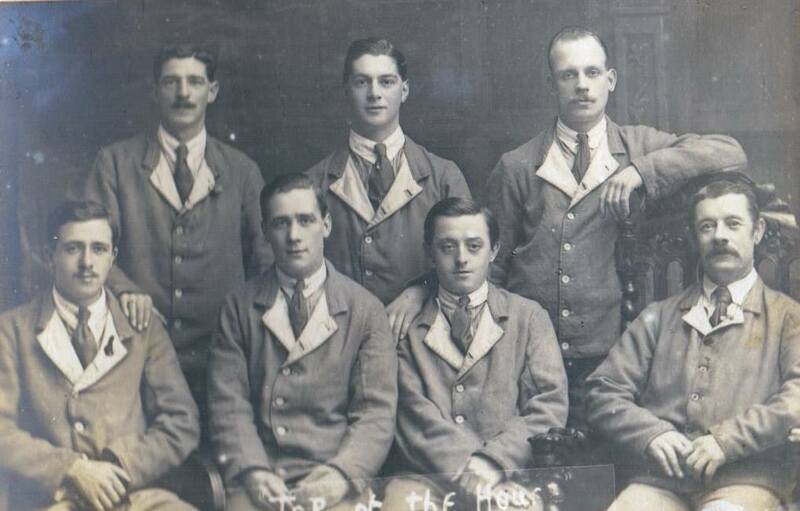 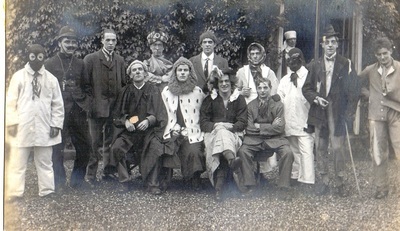 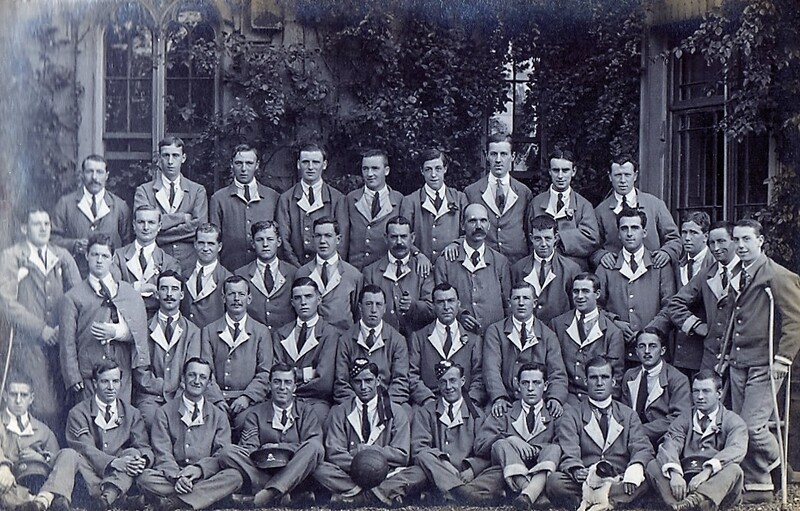 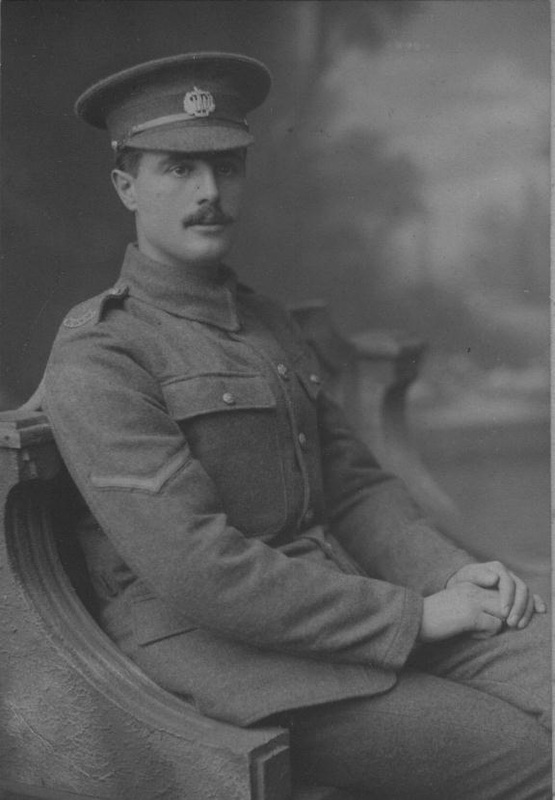 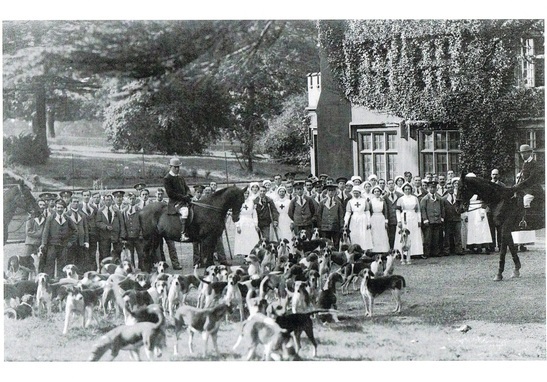 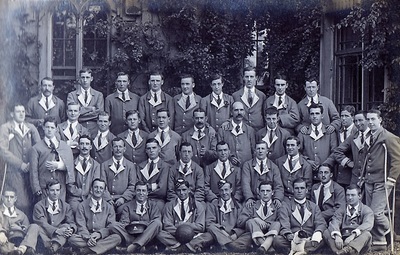 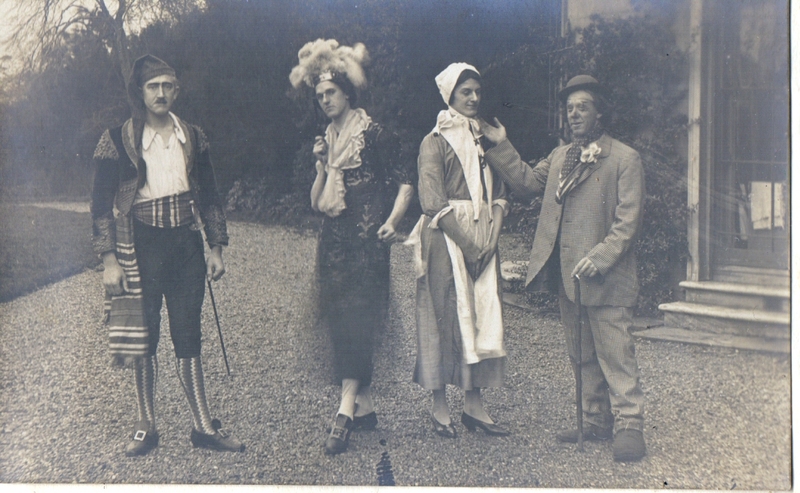 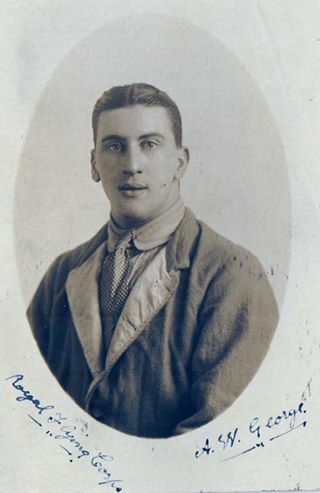 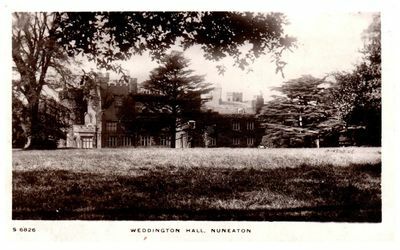 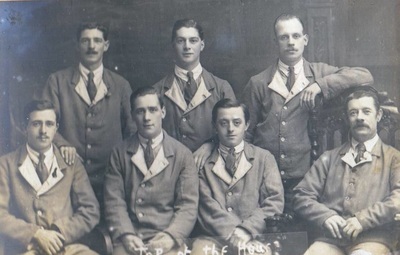 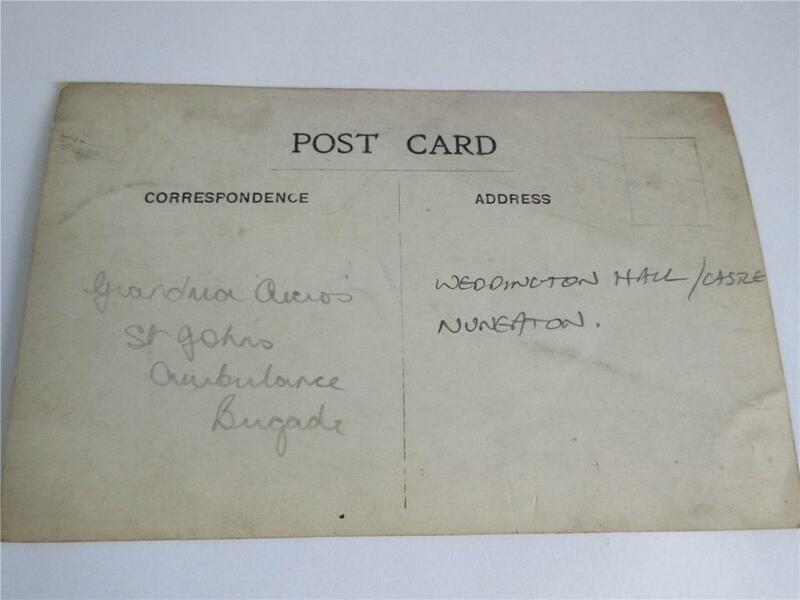 In March 1916 one Edward Melly secured the lease of Weddington Castle in order to establish a Red Cross Hospital for wounded soldiers in the building. This was managed under the auspices of the Commandant, an extraordinary lady, named Margaret Fowler. 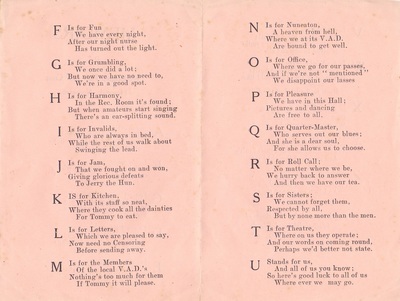 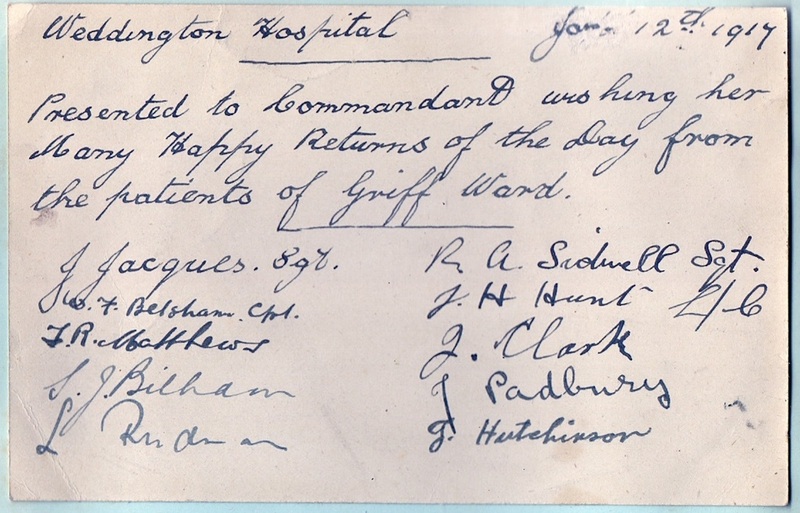 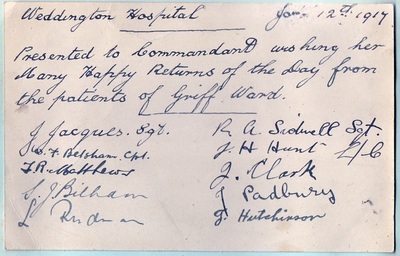 Rooms on the first floor were converted into hospital wards and named after local industrial companies who contributed to their upkeep: “Griff”, “Arley”, “Hall and Phillips”, “Birch Coppice”, “Haunchwood” and “Stanleys” were names painted onto the doors of each ward. 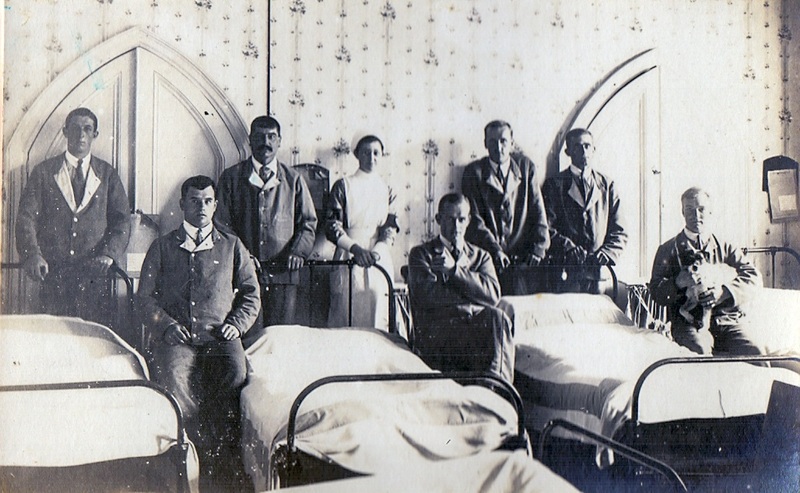 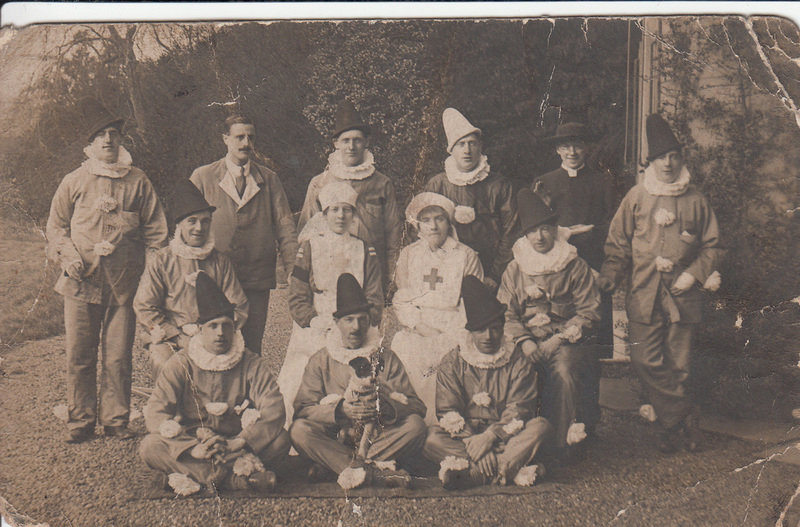 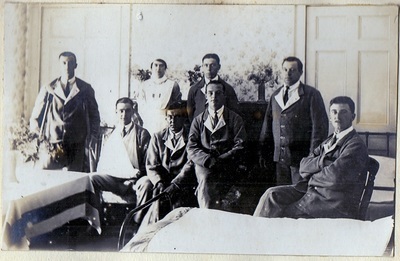 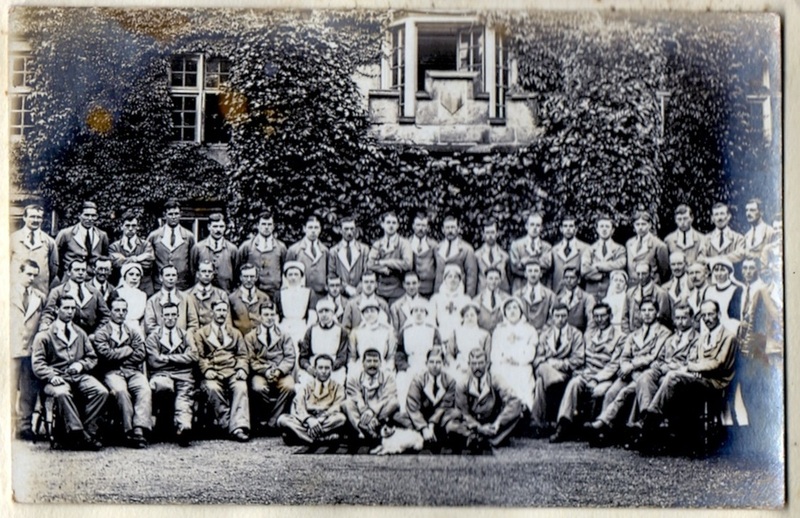 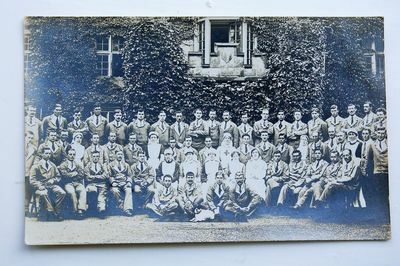 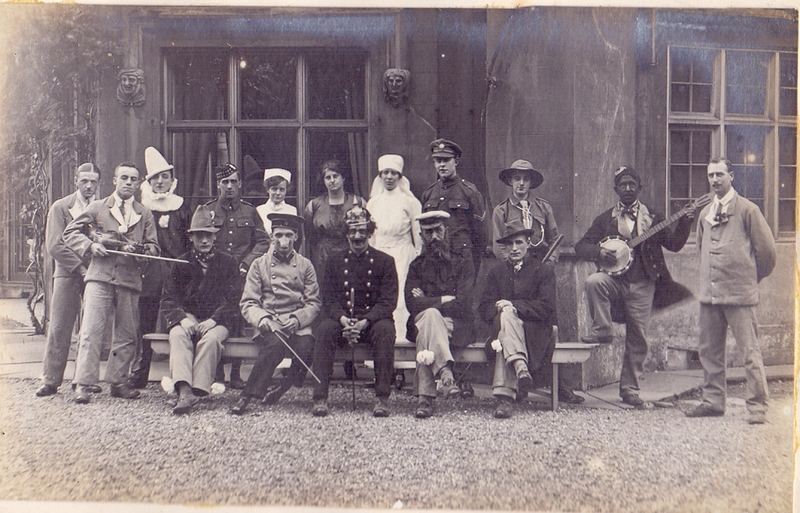 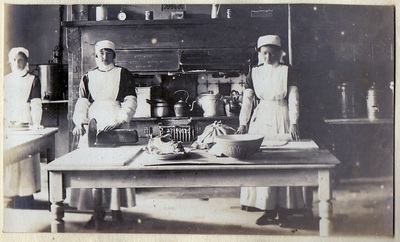 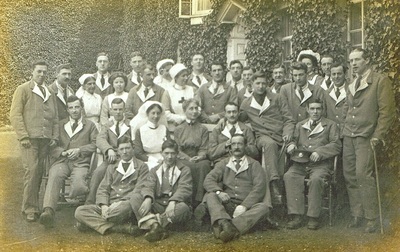 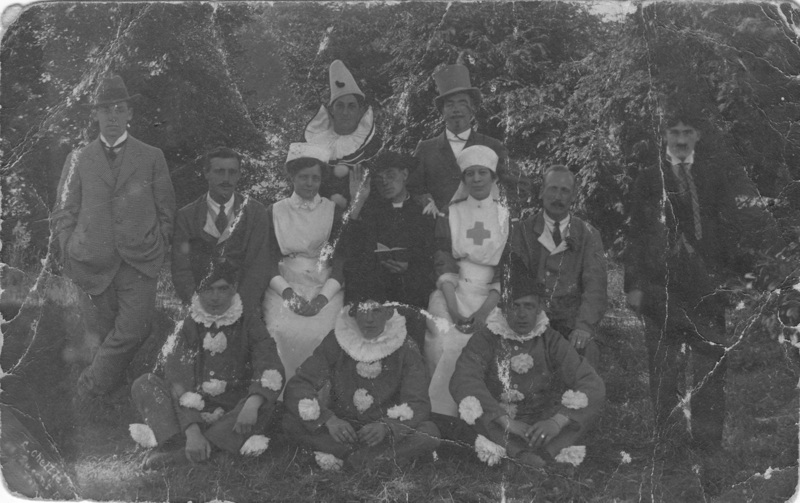 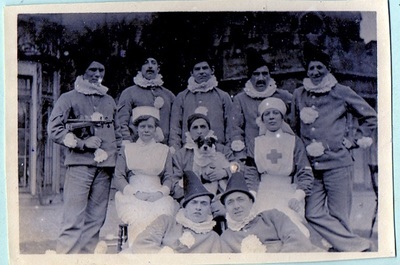 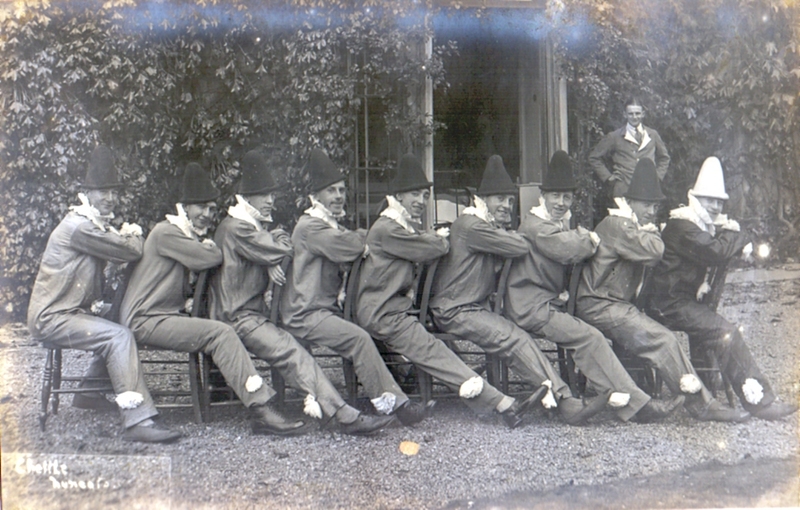 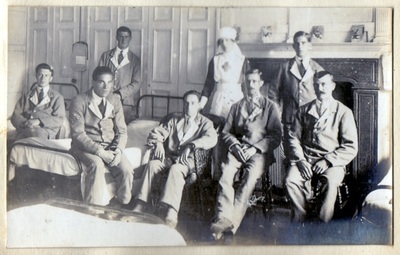 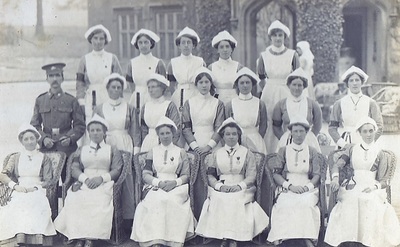 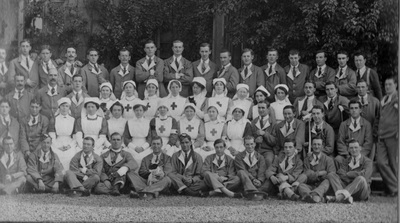 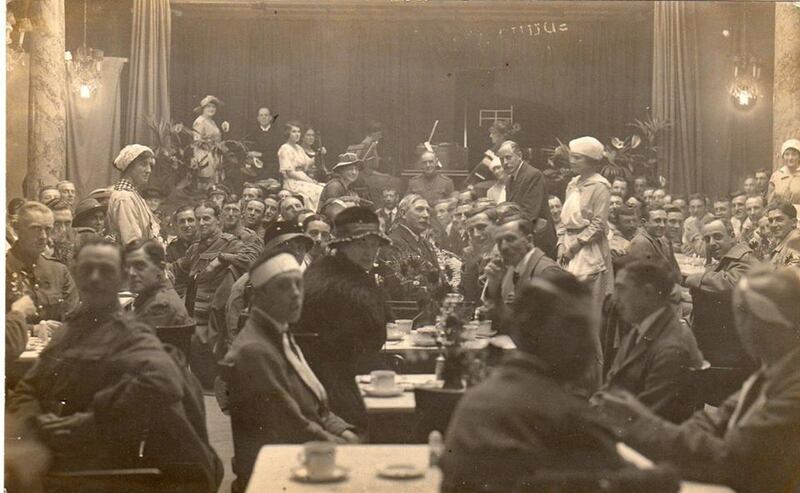 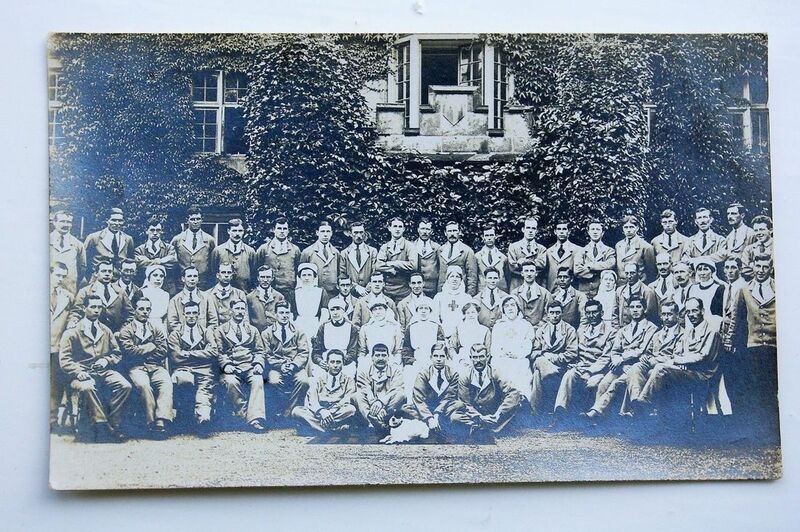 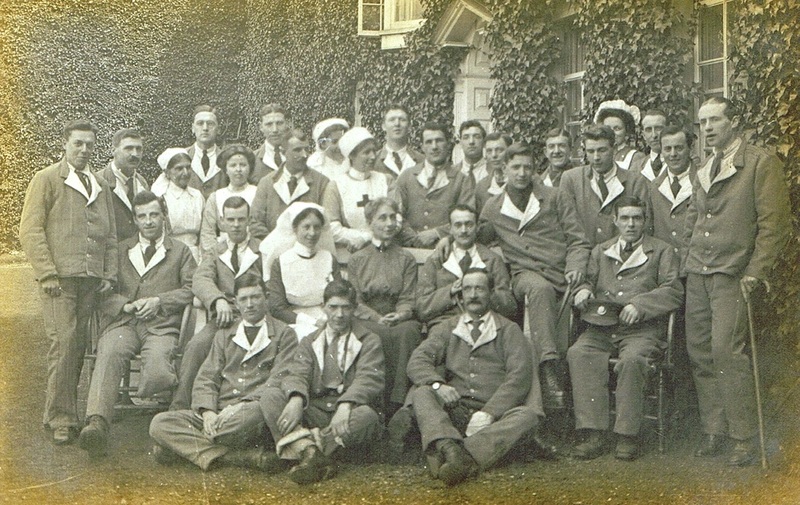 These images show soldiers and nurses at the Castle during the First World War and give a unique glimpse of the Castle's interior. 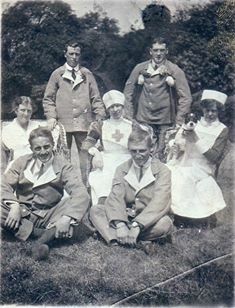 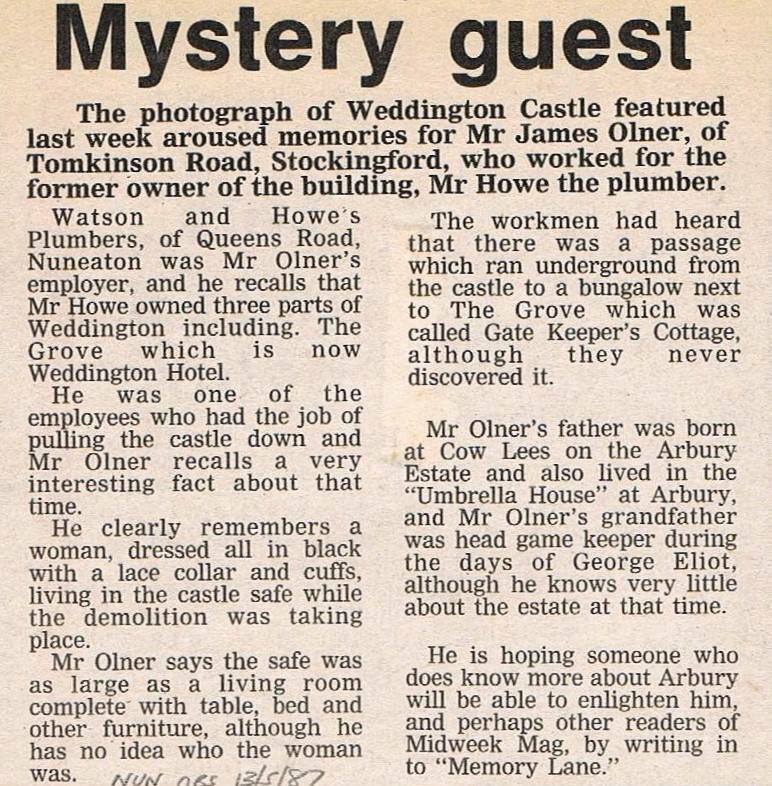 You can read more about the Castle as a Red Cross Hospital at this link. 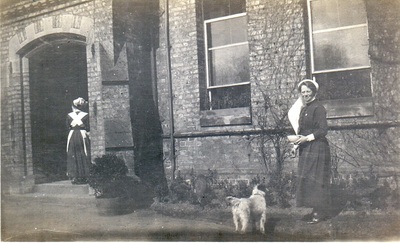 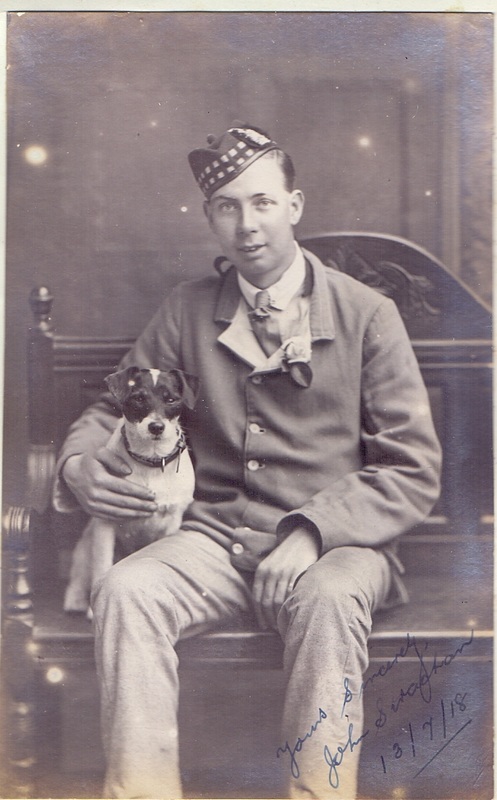 A feature of these pictures is Mrs Maitland's little dog who is photographed in many of the shots. ​Hover your mouse over the thumbnails below to see a description of each picture and click to see a larger image. 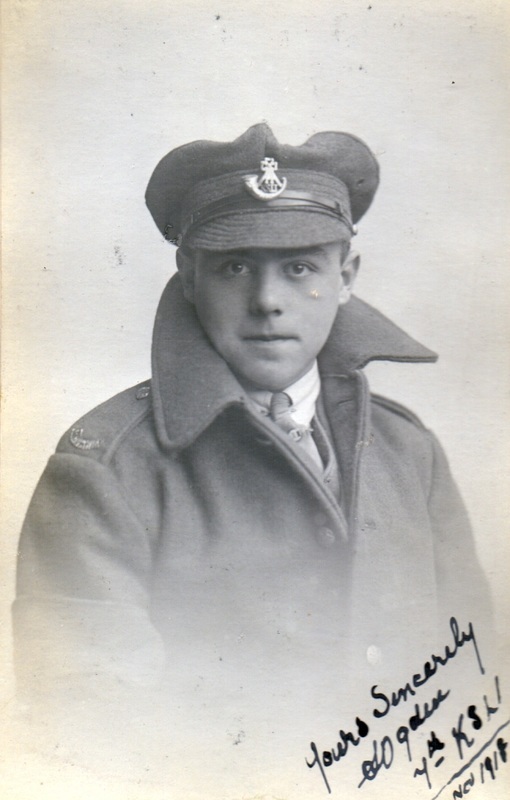 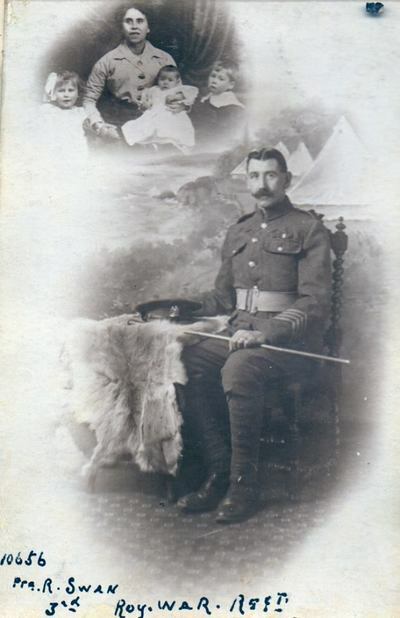 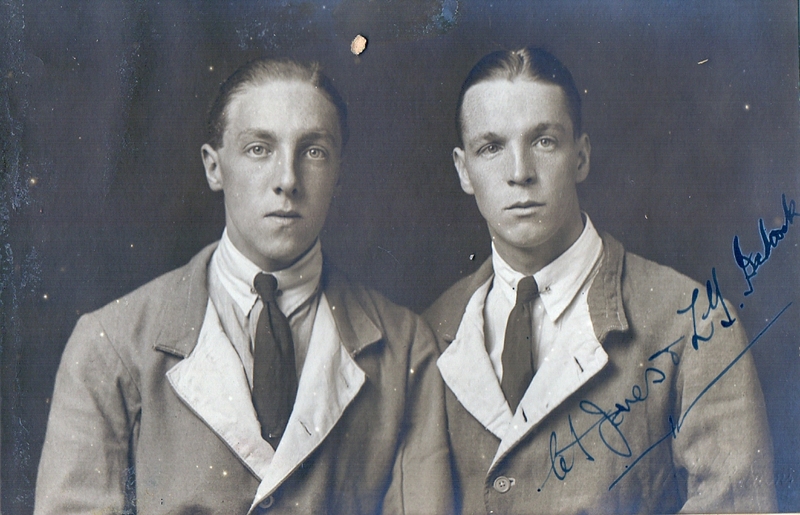 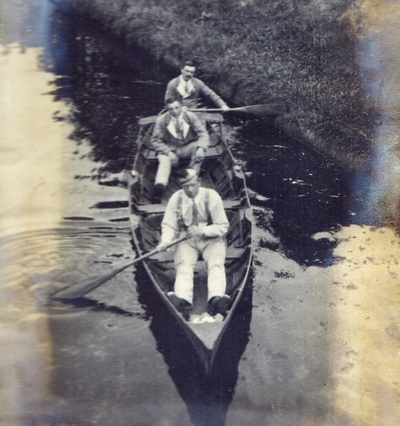 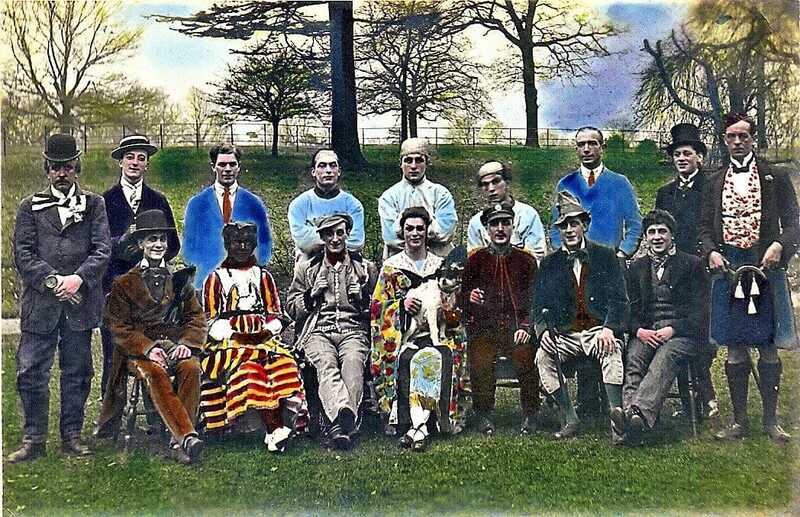 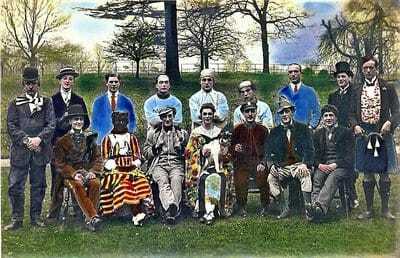 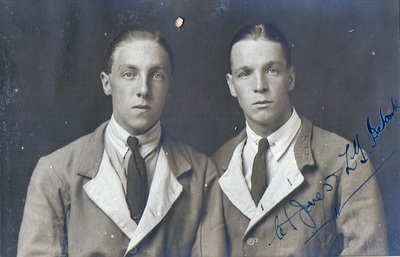 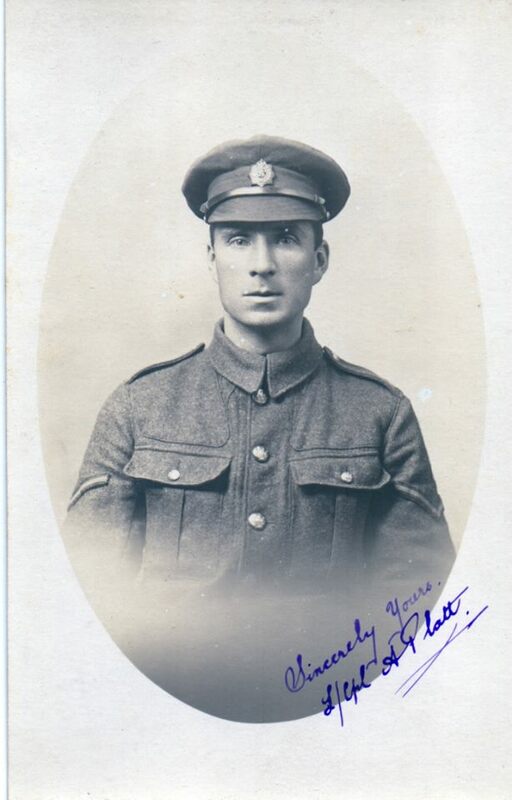 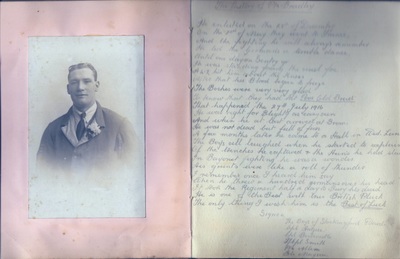 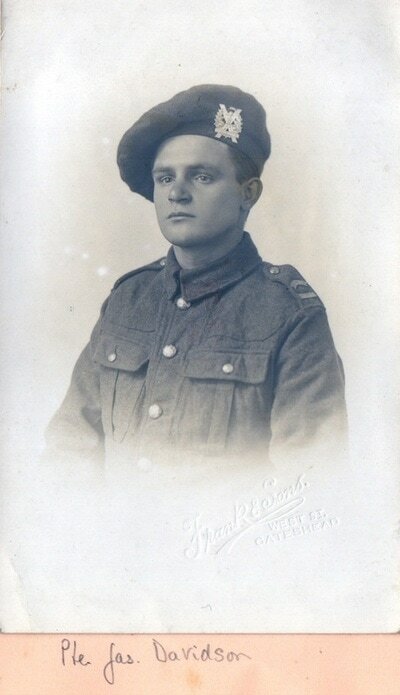 * ​Photos provided by Thomas Peeke in 2013, featuring his Great Grandfather, William Moore, then aged 27. ​**** Courtesy Kathleen McGale. 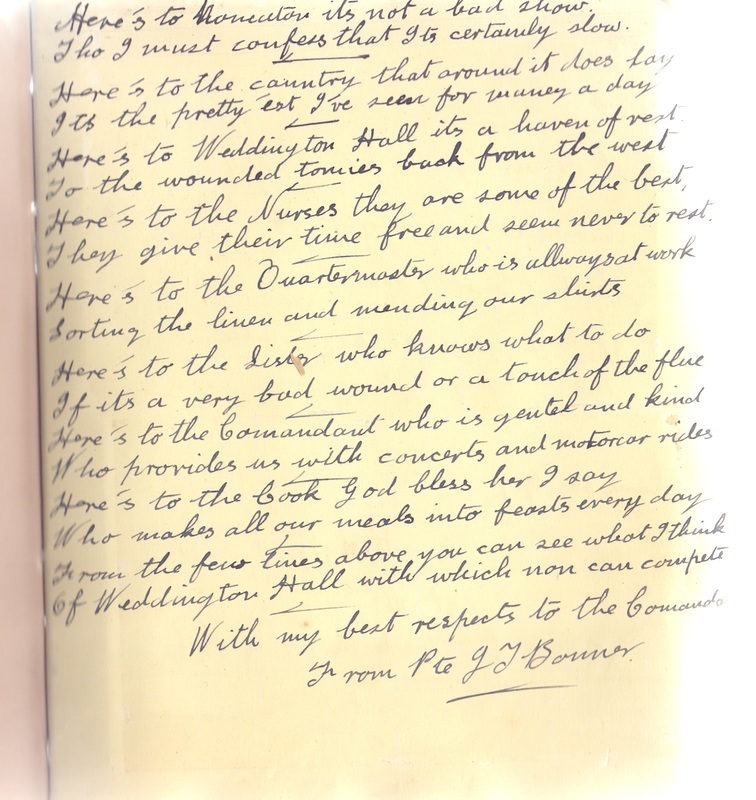 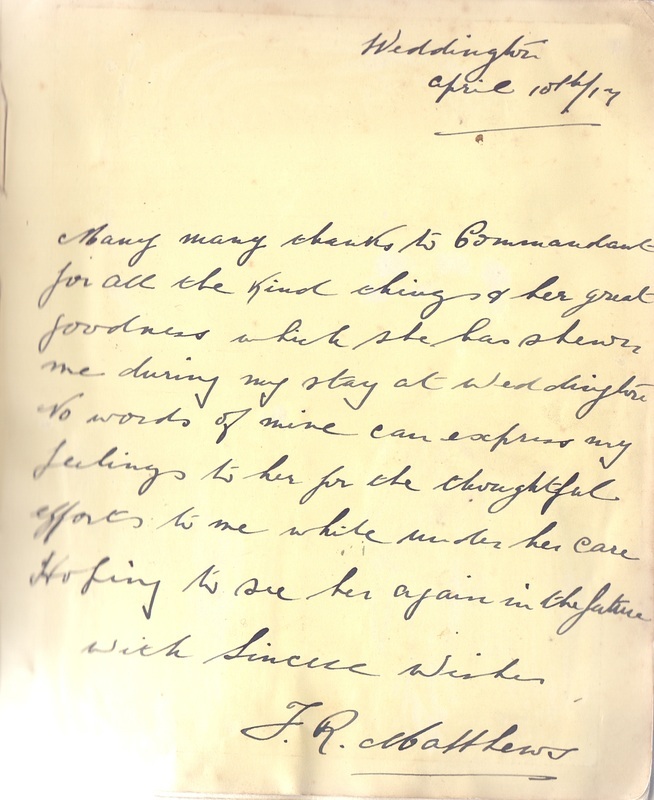 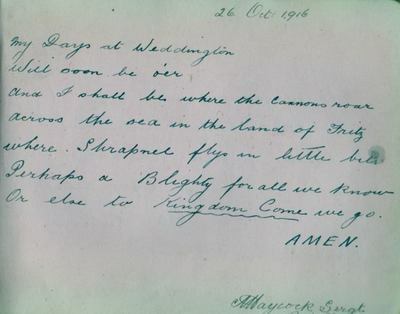 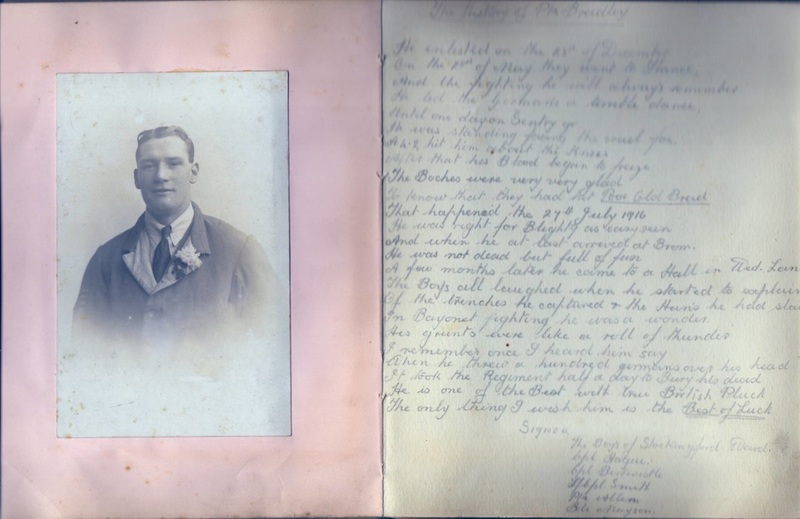 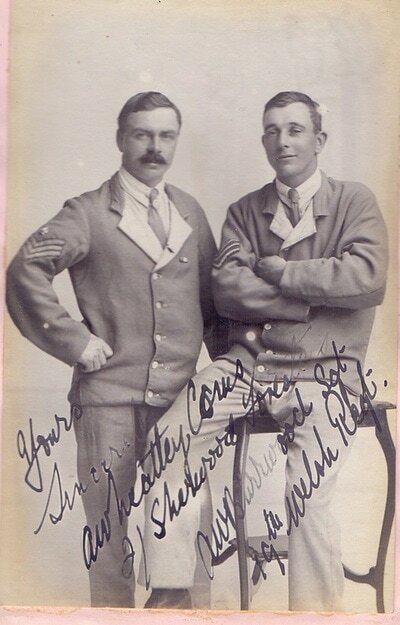 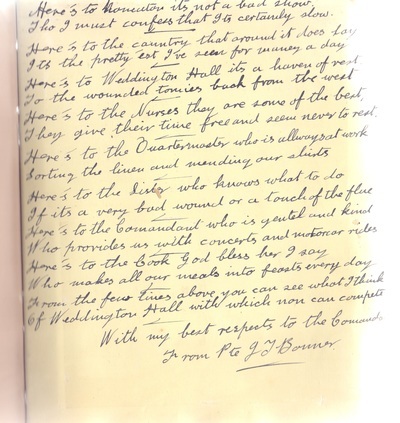 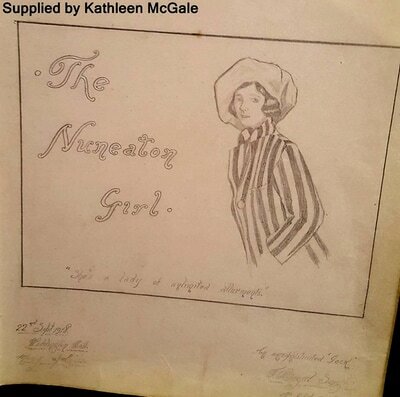 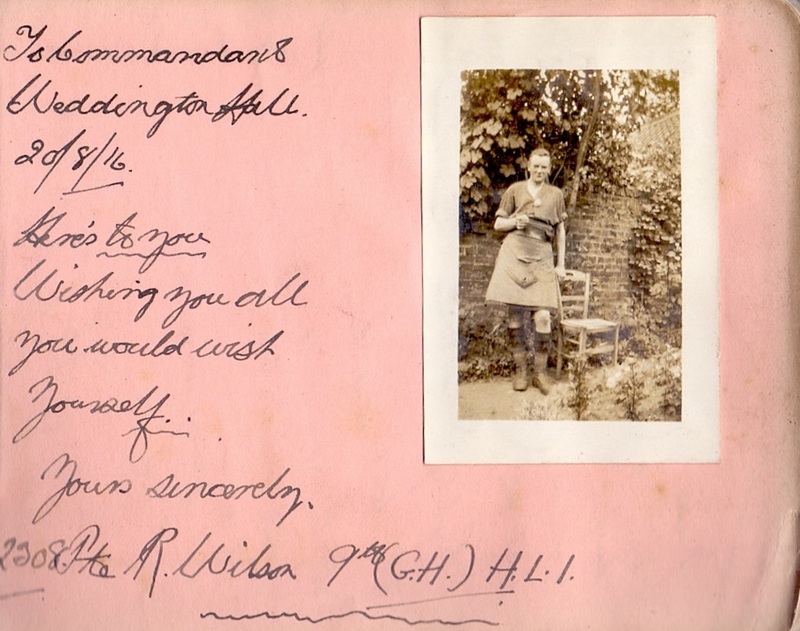 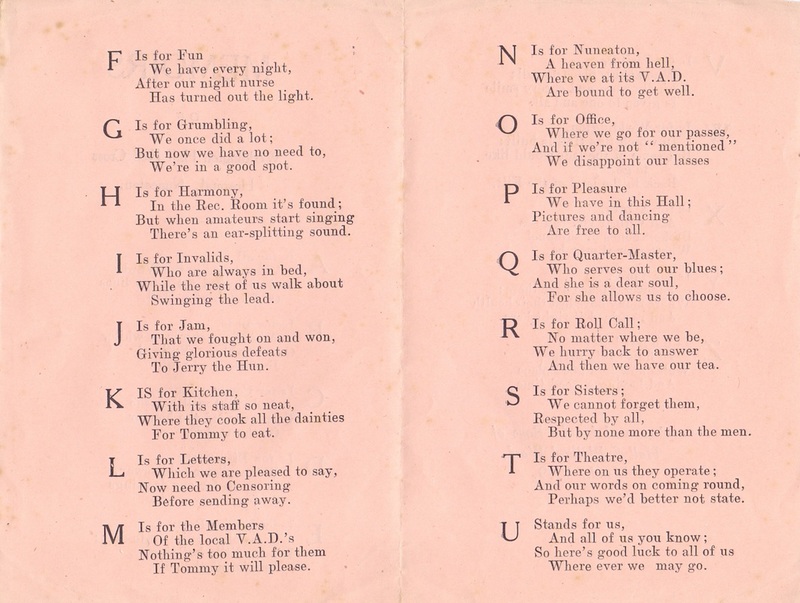 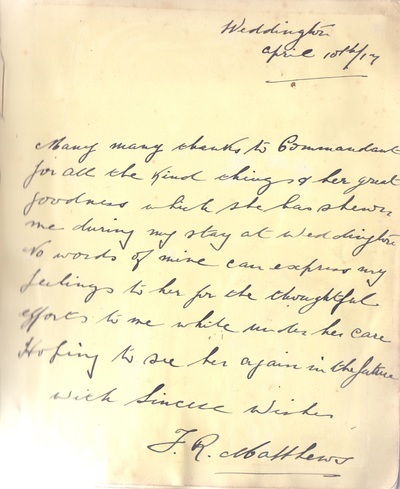 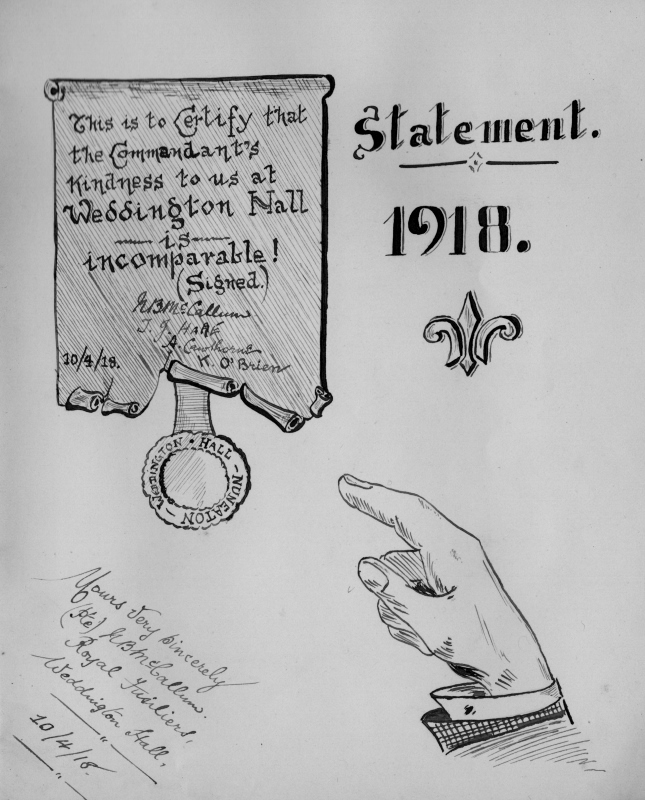 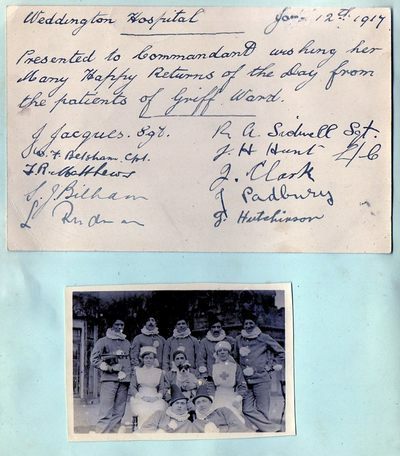 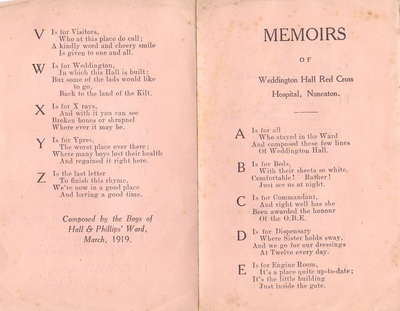 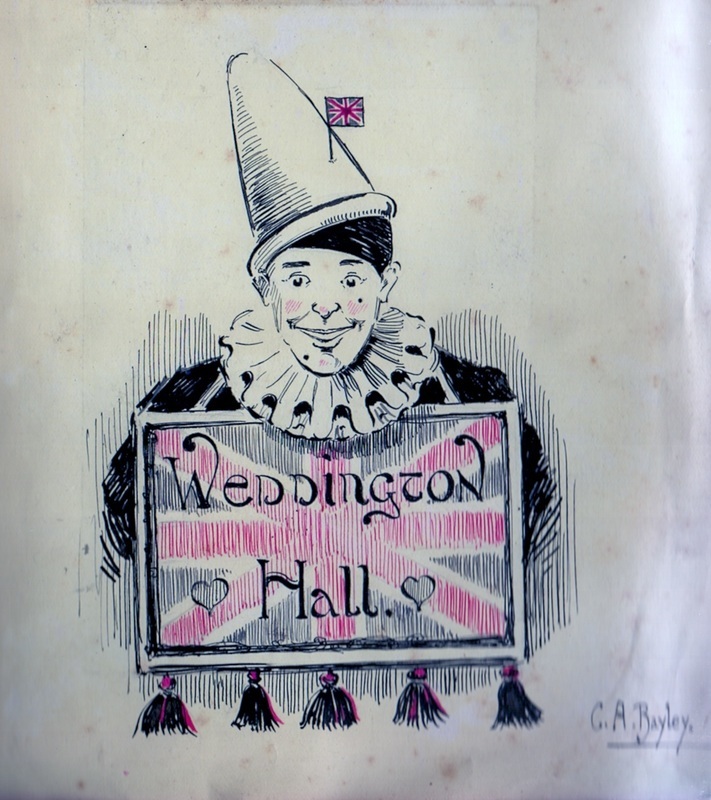 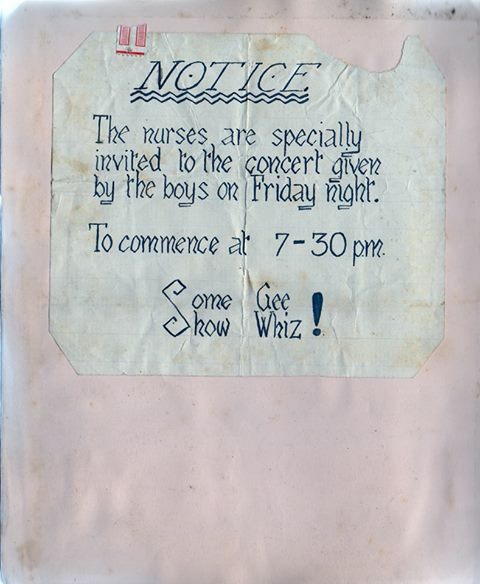 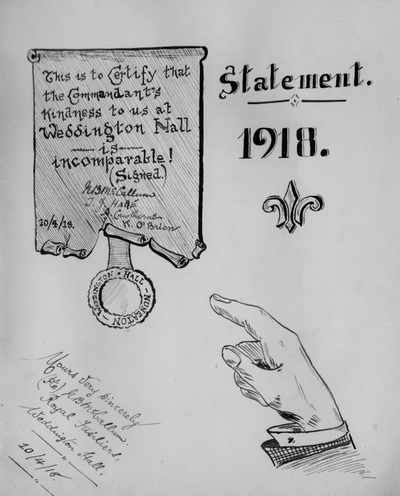 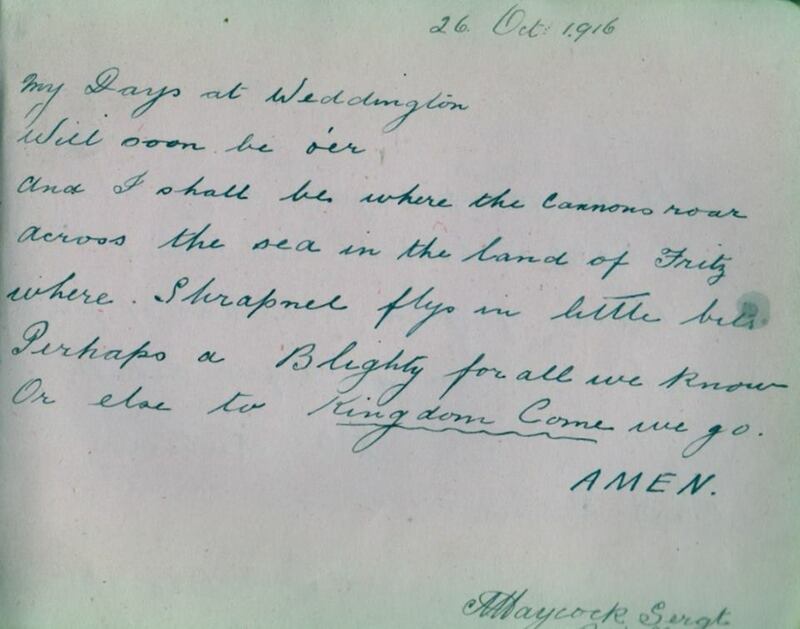 Drawing from an autograph book kept by her aunt containing letters, poems and drawings by soldiers at both Arbury and Weddington Red Cross Hospital: "The book was owned by my mums oldest sister, who was the eldest in a family of seven children. 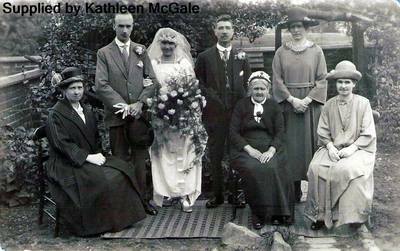 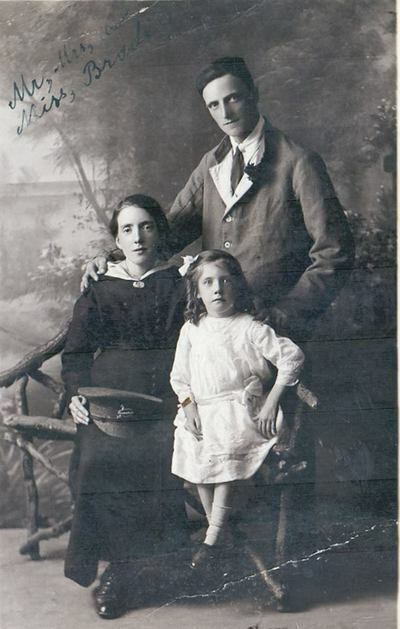 Her name was Mabel Rosina Taylor of Arbury Road born 1897. 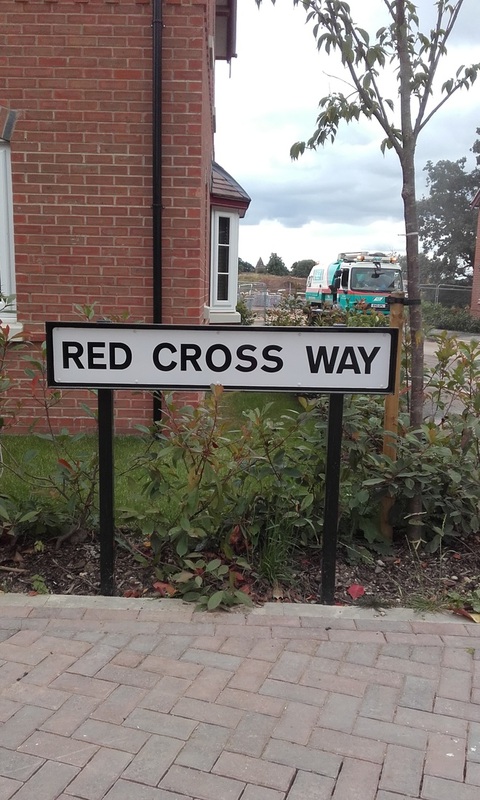 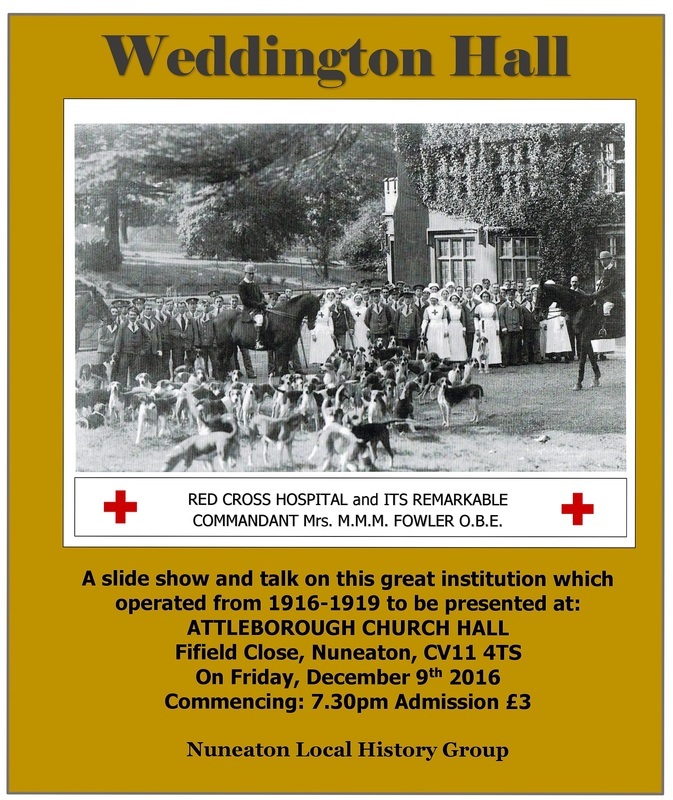 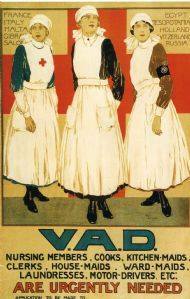 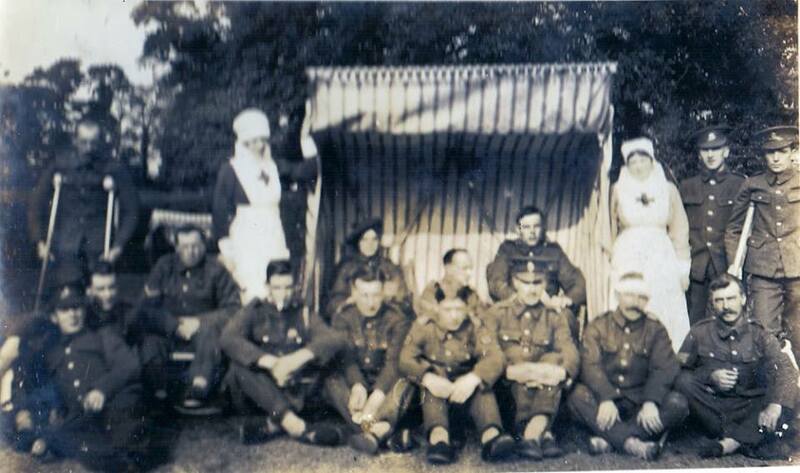 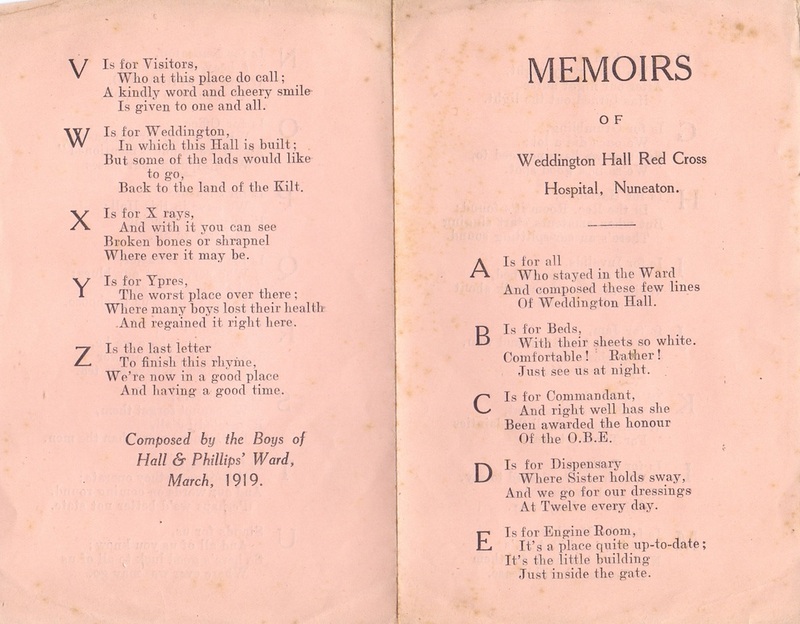 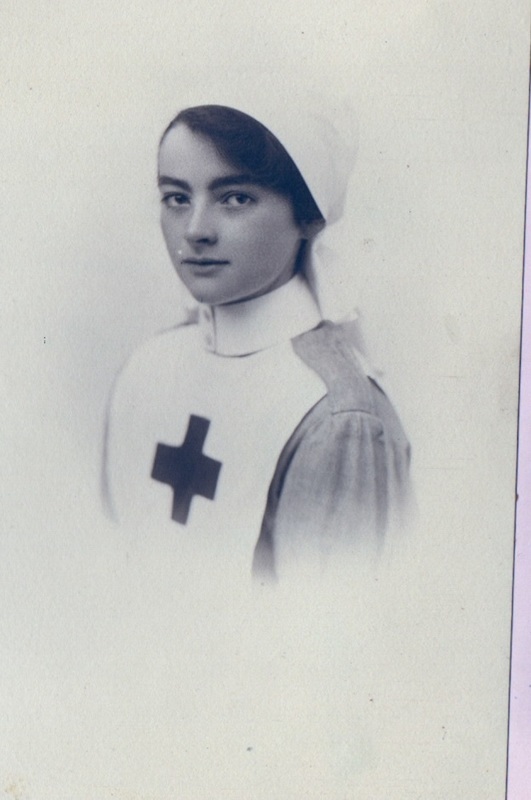 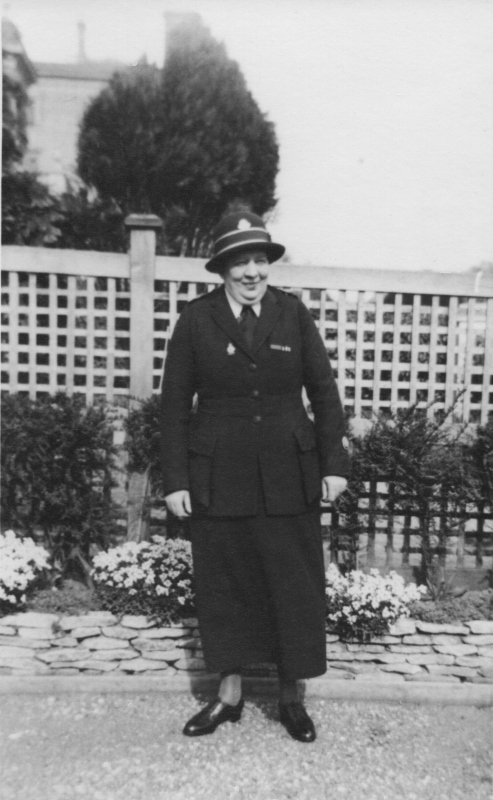 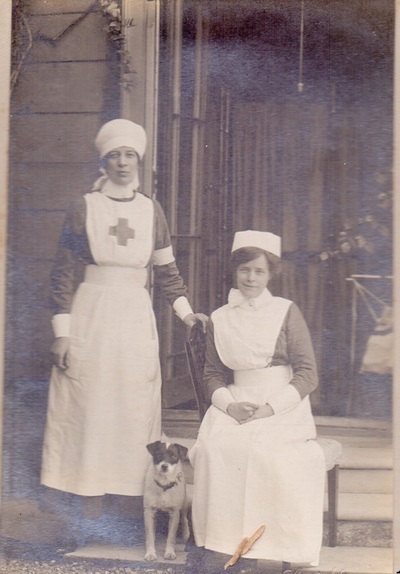 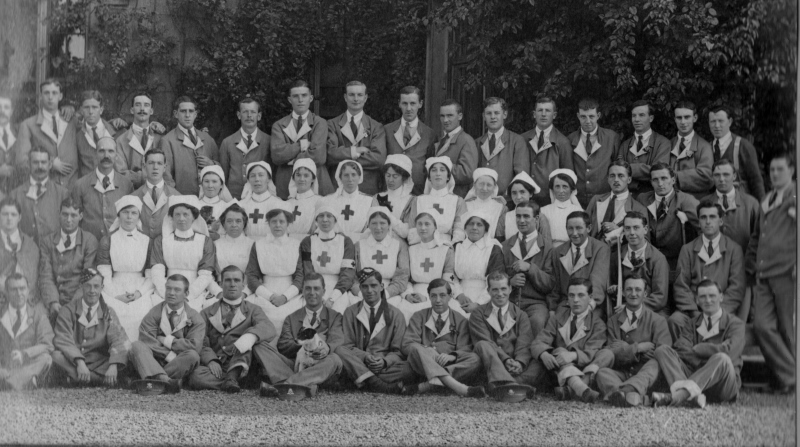 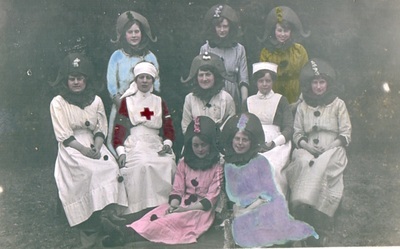 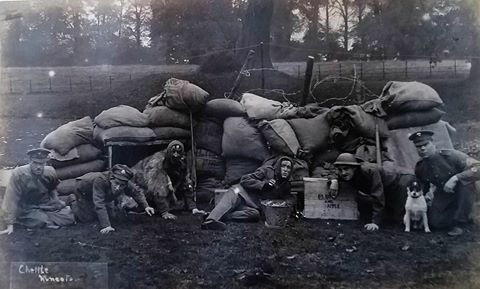 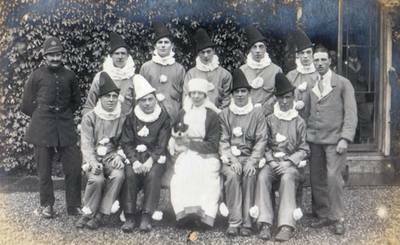 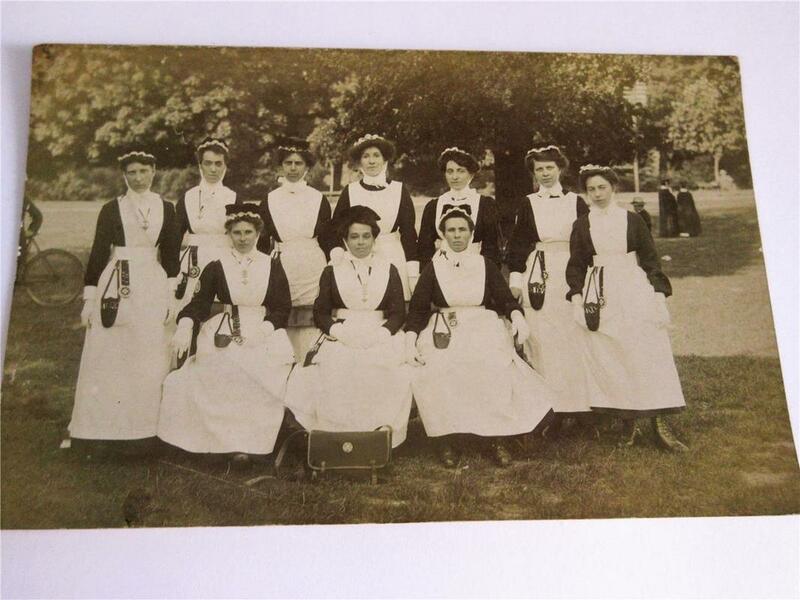 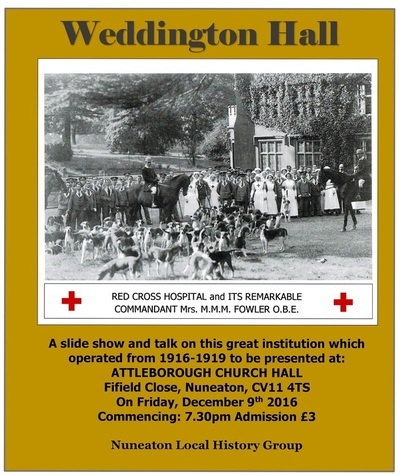 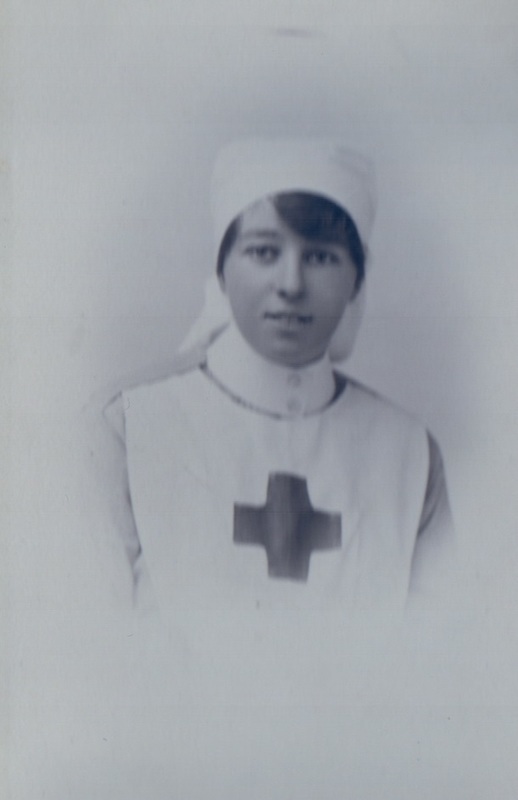 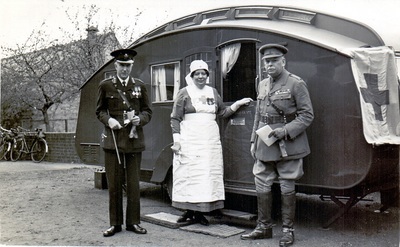 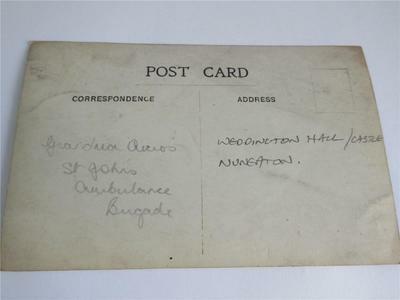 She was about 18 when she started the book in 1916 and she was obviously a Red Cross nursing volunteer First at Arbury Estate army hospital and later at Weddington Hall hospital. 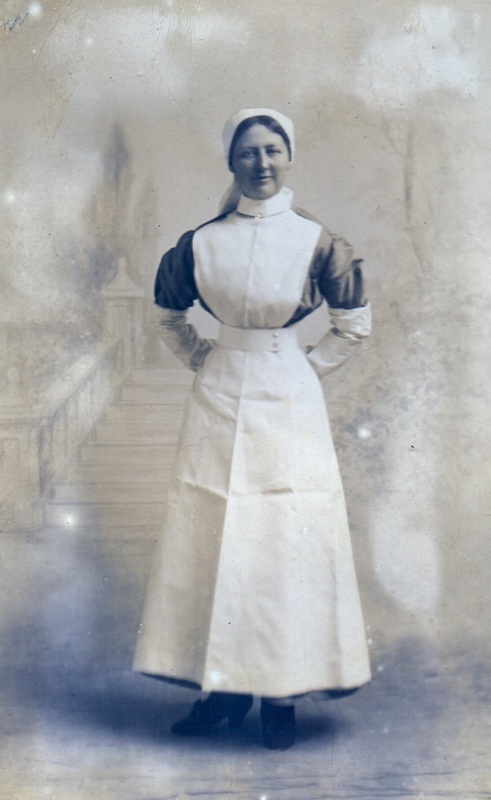 Her day job was a milliner at a shop called Coleys which sold hats and was in Newdegate Street."